We highly recommend booking all your activities with us well in advance for guaranteed seats. 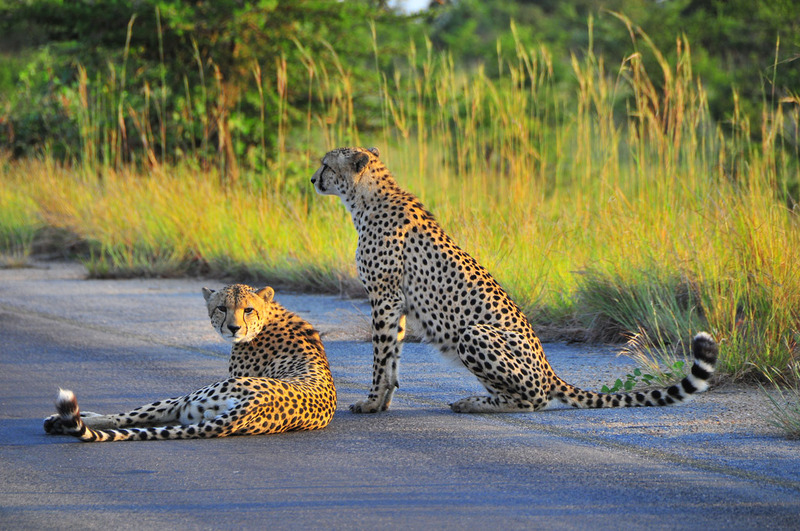 Cheetah Paw Eco Lodge is located only 40 km from the Orpen Gate of the Kruger National Park. 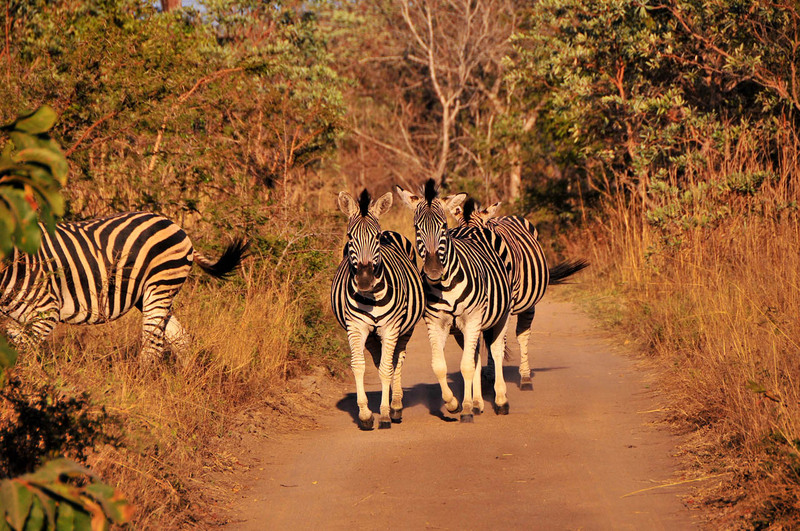 Guided safaris in open or closed safari vehicles are the best way to experience the wildlife and nature in the famous Kruger National Park. 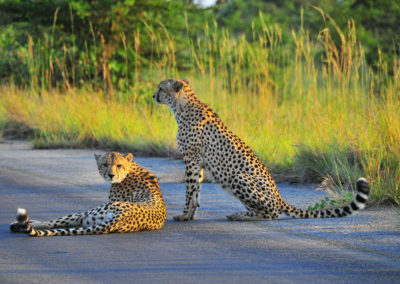 Experience the game drive on one of the game reserves that are located close to Cheetah Paw Eco Lodge. Go with your ranger in an open safari vehicle and experience close encounters with wild animals in their own habitat, and if you are lucky, you may meet lions, elephants, buffalos, rhinos and leopards! These walks on the Guernsey Private Nature Reserve with a qualified guide bring you close to nature and all the little wonders of the bush. 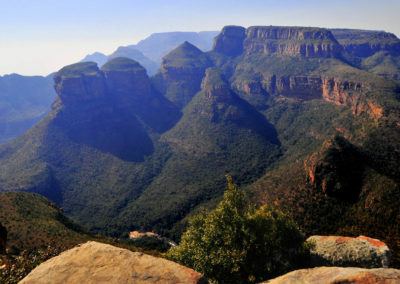 On this day tour you will drive along the Blyde River Canyon and see the Three Rondavels, Burkes Luck Potholes, Gods Window, The Pinnacle and the Lisbon Falls. Breathtaking views and beautiful landscapes are perfect spots for photo shootings on this tour. Experience the thrill of walking with two adorable rescued white lions and learn about the vulnerable situation of these magnificent animals in Africa as well as the coordinated conservation efforts. 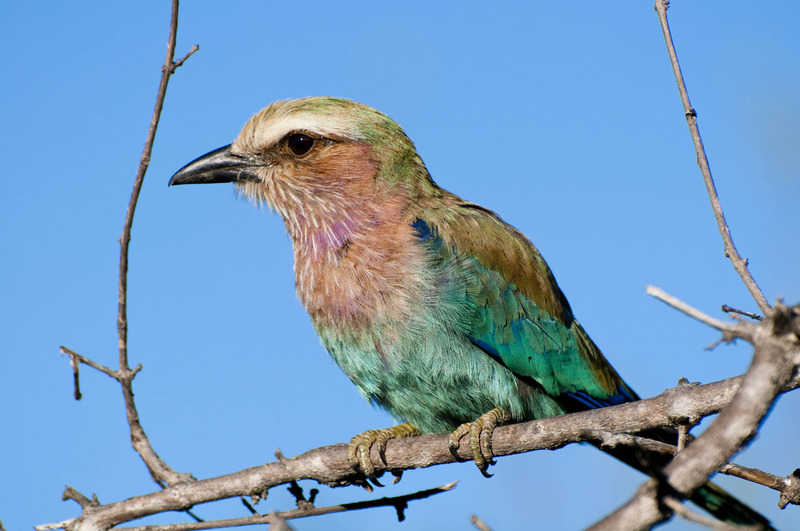 Get an inside view in the Hoedspruit Endangered Species Centre or Moholoholo Animal Rehabilitation Centre. Learn more about nature and our conservation efforts. Get closer to some wonderful animals that are hard to approach in the wild. Both centers offer daily guided tours. Meet and interact with a herd of African elephants in their natural Big 5 habitat. Listen to the elephant keepers’ stories about a very unique herd of elephants formed by a rescued elephant family with unrelated rescued orphans. Get close to these giants. Their mammoth size and gentle presence are truly humbling. 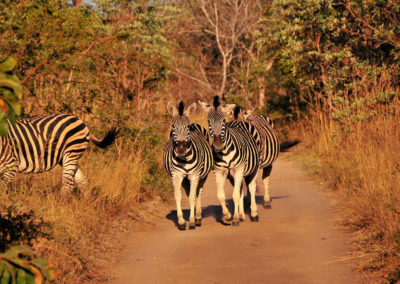 After dinner, we will bring you on a 1.5-2 hours game drive in an open vehicle to spot the games on Guernsey Private Nature Reserve, which is inhabited by an abundance of games such as Impalas, Duikers, Kudus, Zebras, Giraffes, Wildebeests, Buffalos, Waterbucks, Steenboks and Nyalas. You will also have chance to spot the nocturnal animals that are rarely seen, such as Bushbabies, Owls, Honeybadgers, Servals, Civets, etc. Meet one of Africa’s most well-known animals! Guests will have the opportunity to interact with her up close and personal. These drives leave before dusk and return after sunset lasting around three hours. Search for grazers in the cool afternoon and predators starting their nightly hunts. Sunset is a time when night animals emerge and a drive during this period is the perfect opportunity to witness the beauty of the bush as it changes from day to night. Learn about fauna and flora from our expert guides. 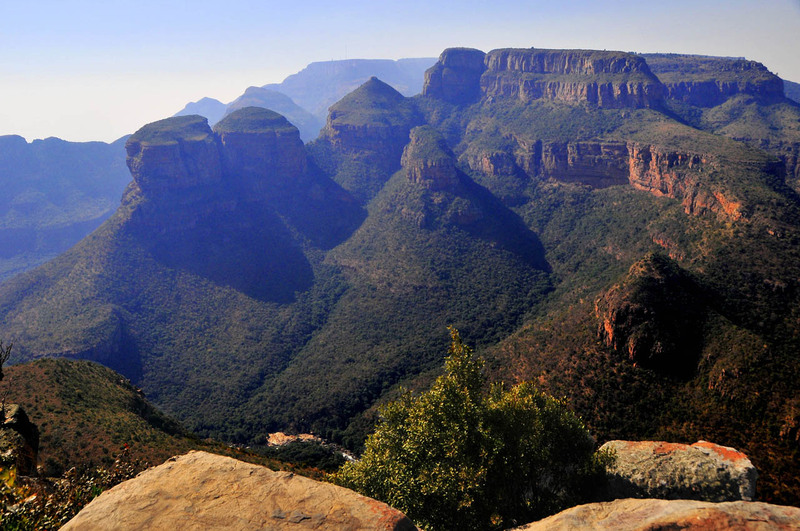 For the adventurous White Water Rafting or Tubing on the Blyde River is an exciting option. A boat cruise on the Blyde Dam is a relaxing tour in a wonderful landscape. The Guernsey Private Nature Reserve is also a paradise for Birding fans. 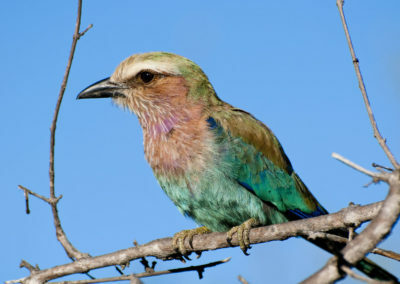 With a variety of about 200 different bird species the area is one of the favorite spots for birding tours. The Kinyonga Reptile Centre and the Big Baobab Tree are only some other attractions in the area around Hoedspruit. Hiking Trails, Hot Air Ballooning and Micro Lite Flights are additional highlights. Or why not spend a relaxing afternoon at a spa? Rates and bookings for all activities are available on request.